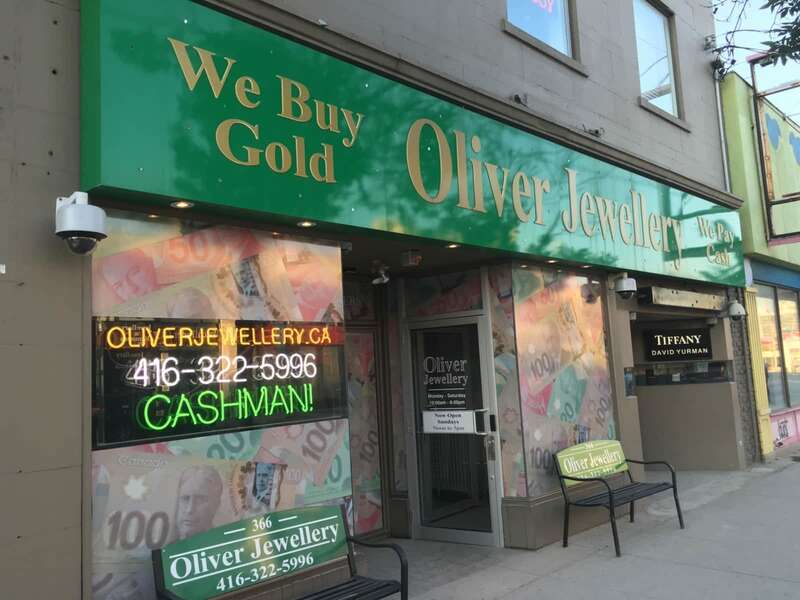 With over 40 years' experience, Oliver Jewellery has been Proven by the Toronto Star and Global News to give the highest cash payouts for your gold, jewellery, and other valuables! I was there and try to sell my watch I never use again, the person who handle me have no RESPECT at all, first he said $1000 and after I said can I have bettter deal he said $900,$800 until $500 when I said how come going down he just said I should said Yess and he said he have no time for negotiation, I never felt so disrespectful like he did to me and my wife, the guy really disrespected to us and so Arogan, again is was very disrespectful to me and my wife. My family has always had a precious set of old silverware, but not having any use for it in years I thought I'd take it to Russell to sell. Unfortunately it wasn't valued as high as I had hoped and not worth much, however my experience with Russell was very pleasant and will gladly return in the future. The doorman even helped me to my car, great experience even if I didn't get any money out of it. Oliver jewellery is such a horrible place. I went there for selling my ring.,MY fingers are too small thats why MY ring is small...The guy came and start to yell at me.. This ring is too small nobody buy it... He said "How much do you want?How much do you want??!!!" He asked me sarcastically. I was already checked this ring's value was $60 at downtown .. but just wanted check there price. But he answered sarcastically $20..!!!!! I said "give me my ring" but He didnt give me my ring and yelled at me continue.. "this ring is too small ,,nobody buy..! he called other guy and talked him again" nobody buy this ring!!" i said" give me my ring "but he still yelled at me continue.. there was such a horrible place.. Don't go there... It was just wasting time. and The guy lie to me..$20 this ring value was $60 at downtown! !